Malacca Sungai Rambai Pas Dinner was held on November 26 at Markas Pas Sungai Rambai, Malacca. Pas National Committee Member Haji Mohamad Sabu was one of the speakers during the dinner. I was really impressed with his talent of delivering speech. 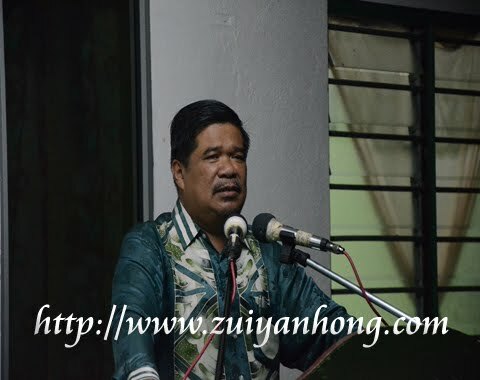 According to Haji Mohamad Sabu, Malaysia political scenario is still in primitive age. In developed countries, political party leaders no need to campaign by giving speeches to the public. They announce their party policies through the media. PR leaders have to talk to the people all over Malaysia because the media has been monopolized by BN. Haji Mohamad Sabu urged Malacca Malays to reject BN and support PR in order to achieve reformation. Where Has Our Hard-Earned Money Gone ?